June 8, 2010 - Boeing [NYSE: BA] has announced that it will secure a license from AgustaWestland for U.S. production of the AW101 medium-lift helicopter as an entry into the U.S. Navy VXX Presidential Helicopter Program. This license will give Boeing full intellectual property, data and production rights for the aircraft in support of the VXX program. Because of this arrangement, the aircraft will be a Boeing aircraft, built by Boeing personnel at one of its U.S. facilities. The company will submit information regarding this aircraft in response to the Navy's current Request for Information by the June 18 deadline. In announcing the agreement, Phil Dunford, vice president and general manager for Boeing Rotorcraft Systems, said, "We are excited to offer the capabilities of this proven aircraft to the Department of the Navy as it completes the Analysis of Alternatives for this critical mission. 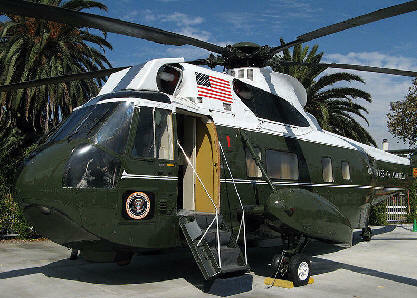 As a leading original equipment manufacturer in the military helicopter market and with our nearly 50 years of experience in presidential transport, we believe we are uniquely positioned to make the most of the Navy's significant investment in this aircraft." The AW101 is a three-engine, medium-lift helicopter with combat-proven performance, serving with distinction in Bosnia, Iraq and Afghanistan. More than 150 aircraft are in service with five NATO militaries and Japan, and the aircraft was selected for the previous presidential helicopter program in which nine aircraft were delivered to the prime contractor by AgustaWestland. If the Boeing 101 helicopter is selected for VXX, Boeing will be the prime contractor and will design, build and deliver the aircraft. An industry-leading team of subcontractors, including AgustaWestland, will work with Boeing to deliver this capability to the Navy. "Boeing has a long and extremely successful relationship with AgustaWestland, which has manufactured both the AH-64 Apache in the United Kingdom and the CH-47 in Italy under license from Boeing. We are thrilled to have a trusted participant on our team with valuable insights into the aircraft and the program," said Dave Palm, director of Business Development and Strategy for Boeing Rotorcraft Systems.